Want to know what it takes to make it in UX design? We recently asked four awesome women in UX about their own experiences in carving out a career in this exciting field. They offered a refreshingly honest and insightful look into the world of UX, with each taking a unique journey to get to where they are now. UX design, or user experience design, is all about taking a customer on a journey through a given medium – be it audio-visual, an interaction with an AI, or navigating a web page. It’s about invoking feelings from a user, and creating targeted stories for brands. It’s about unleashing your creativity to realise tangible, measurable results. What led Sharni Allen, Luisa Lombardo, Bettina Marson and Hannah Heffernan into a career in UX? What were their personal hurdles along the way? And what tips do they have for girls (and guys) looking at a future in UX design? Let’s find out what leading women in UX Design have to say. 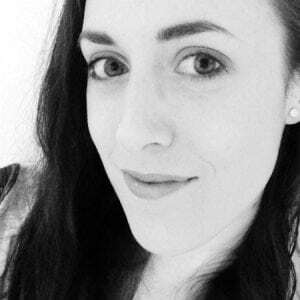 Sharni Allen is a former Academy Xi instructor who currently freelances as a leading UX and service designer. 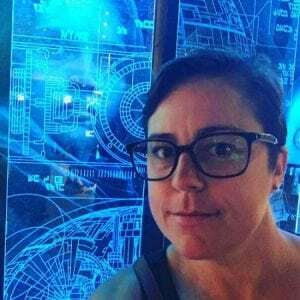 She describes herself as a ‘UX generalist’ who is comfortable facilitating client workshops as well as creating user journeys and wireframes. Sharni has worked as a UX lead at agencies such as whiteGREY and Webling Interactive. What’s your background, and how did you get into UX design? I had worked my way up through the digital production ranks for over 10 years, culminating in an executive producer role where I was overseeing large scale digital transformation projects. About six years ago I started to see a shift in the marketplace – businesses were demanding more expertise from agencies in user-centred design. They not only wanted to see the research behind our solutions, they wanted to be involved in the process. Coming from a traditional waterfall background, the opportunity to work in a more lean and agile way with multidisciplinary teams who were producing results backed by actual research and testing was too good to pass up. I took the skills I had already refined as a producer, such as personas, empathy maps and wire-framing, and put myself on the market as a UX architect. The rest is history. What did you study to get into UX? I did a Bachelor of Multimedia back in the days when we were still burning CDs and designing websites in 256-colour palettes. The foundations of user-centred design have not changed; the Nielsen Norman Group were the industry leaders back then, and are still at the top of the reading list of every UX practitioner around the world. My years in digital production gave me a lot of experience in researching and developing the artefacts required for problem definition and solutions. The other soft skills I needed to succeed came naturally; confidence in public speaking, backing up my decisions when challenged, collaboration and empathy. What are the biggest hurdles you’ve found in adapting to the world of UX design? Getting client buy-in on the process and committing the required amount of time to work collaboratively. Enthusiasm is always high at the start of the project discovery. But continuing through the research, empathy and ideation phases of a project can require an incredible commitment of time from client stakeholders, who may become more hands off and ‘trust us’ – we’re the experts, aren’t we? Decisions can’t be made in silos. There needs to be a consensus on decisions made continuously through the project. Ensuring your decision-makers (product owners, SMEs, etc.) are taken on the journey with you is critical to project success. What do you wish you knew when you started? What would you do differently if you had your time again? I’d buy more Bitcoin! But seriously, taking a step back from the digital tools available and putting things up on a wall is the best way to start every single day. Having a project Kanban (Agile tool) and a daily stand up with the team can raise problems early and often. It fosters team spirit and and an understanding of the project as a whole, rather than the small piece each team member may be working on. Any tips for people interested in pursuing a career in UX design? The hard skills can be taught, the soft skills must be learned. The UX business is not for the shy or timid. It is all about the user – getting out there and talking to the audience, empathising with their needs and wants and then presenting back your findings is a big part of the job. You may be questioned by those who demand answers, challenged by those who don’t believe your findings, and proved completely wrong about your assumptions. UX is a learning exercise in itself, and without those lessons we can’t learn from the mistakes of the past and deliver useful products and services. 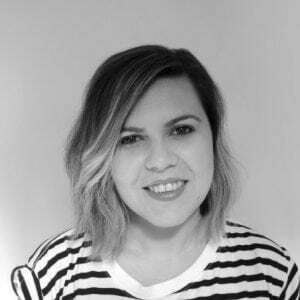 Luisa Lombardo is currently engaged as a product designer at hipages, a revolutionary Australian home improvement marketplace. 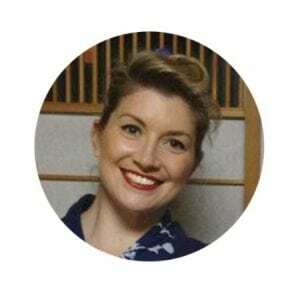 Luisa made her start as a graphic designer in Sydney, before enjoying adventure and career-growth in the UK, and finally returning home as a senior. A switch to UX design came next, as it offered a fresh professional challenge while reinvigorating her passion for design. My background was in graphic design, where I focused on branding, advertising and print. Although I loved this space, I felt I needed a new challenge in my career and saw an opportunity to improve my skill set and move into UX design. Most of my UX learning has been on the job with hands-on experience. I have been very fortunate to work with some great UX designers who have been great mentors for me. I also completed a digital design program at Tractor Design School (now sadly closed) to help me make the transition. Having the confidence to get into UX sooner! It’s always daunting making that first big leap in changing careers and starting from the beginning. I wish I knew that my skills as a graphic designer would give me a great foundation in the UX world. It has made the change easier than I thought. Never stop learning. Read UX articles from sites like Medium and Muzli. I like to start my day by reading the latest blog post and getting inspired by the work that others are doing. Also get out there and meet people in the UX community. Having contacts in the industry is a great way to build your career. Bettina Marson is a multidisciplinary creative. An award-winning artist and writer, she has more recently put her talents to work in the field of UX. Bettina is currently a UX & UI designer in the digital products & services department at Telstra, working in customer success management in the rapid delivery automation team. I’ve always been attracted to creative pursuits and technology. Initially I studied a Bachelor of Game Design, which led to a career working as a concept artist and environment designer. During that time I cultivated an interest in working closer with technologies to improve the lives of other people – both creating engaging experiences and solving real world problems. This led me to enroll in my master’s degree to fine-tune my focus and pursue user experience and interaction design as a career. I studied a Master of Interaction Design at Monash University. During my studies I created interactive prototypes and user experiences for use in the health, education, communication and lifestyle industries, which I found to be incredibly rewarding. 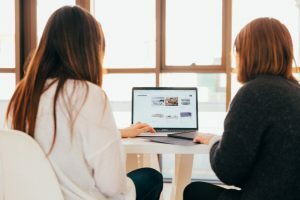 With the rate that technology is being developed and adopted, one of the greatest challenges I’ve found is that you need to not only be knowledgeable in UX practices, but also in the latest technologies and their limitations. When you think of user experience design, you immediately think of interfaces and excellent customer service. User experience design is more diverse than that; we live in a world with many different technologies that allow for many different kinds user experiences, such as virtual reality and voice-based interaction as seen in products like Amazon’s Alexa and Google Home. User experience is not purely visual, and we must remember that people interact with technology in different ways. It’s important to not only keep up to date with the rapidly changing world of technology, but to ensure that the experiences you are creating are inclusive, intuitive and a delight to use. If you’re interested in this rewarding and challenging field, I definitely recommend attending a workshop or meet-up to find out first-hand what it’s like to work as a UX specialist. There are also many fantastic online resources to upskill in UX design if you’re looking to bring user-centric practices into your existing work. Hannah Heffernan loves to create, and has managed to make a successful career out of this passion. During a stint in Berlin she also obtained a taste for startup life. And where better to be a startup loving creative than Australia’s billion dollar startup baby, Canva. I started out in advertising agencies, working first as a illustrator and designer, then as an art director. I came to UX while living in Berlin five years ago. My limited German didn’t get me far in traditional agencies, but the tech and startup scene was really strong. That’s where the demand was, plus tech tends to look further for talent so naturally the teams are very international and English becomes the default for everyone. My first role was as a real generalist in a small start-up. This is where I got the bug for designing for products. Like many of us, I didn’t. I studied communication design and majored in illustration. My illustration background has definitely helped me design products. I made the shift to UX with a new job in a new company after maternity leave. That was a hurdle in itself! I found the biggest challenge was shifting from designing intuitively to having to inform my decisions with data. Design has always been emotive for me, and I guess my decision making is pretty gut-feel as well. Having the discipline to make more objective decisions and validating my hunches has taken practice. It is still something I have to practice! I wish I knew that I already had all the skills, I just needed to apply them differently! Art direction and designing for advertising is about distilling an idea down to its simplest form, empathising with consumers and getting to the heart of what they’re trying to achieve in their lives and how your product can help them. To me, this is UX. Just the output is different. As women, we’re often not very good at selling how awesome we are! If I could go back to before those first terrifying UX role interviews, I’d practice being a better salesperson! It felt like this new scary industry that I knew nothing about, but I actually had 10 years of really relevant experience. My thinking was that I had to find a company willing to give me a break, but they actually would have been lucky to have me! If you already work in a creative field, or have any problem-solving element to what you do now, you’re probably already doing some UX! Find opportunities to apply tried and true UX methodologies and processes to projects you’re working on now. Then, when you make the leap to a UX role, you’ll already have the tools to get going. Is it time you made your start in the world of user experience design, just like these trailblazing women in UX? Check out our articles The Future of a Career in UX or The Pros and Cons of Bootcamps for UX Designers for more info.